We are pleased to have Real-Life married sweethearts Frannie and Dani, who are also Dessert Critics appropriately called ‘The Sweethearts’, add a little sweetness to Around Wellington with their playful, yummy weekly 3-5 minute dessert video reviews. Most of us would agree that snacking on various flavors of rugelach makes people happy, Jewish or not—even some animals are known to appreciate it. For example, apricot rugelach has a bizarre effect on my parrot, Poopsie; after being fed, Poopsie impersonates my Aunt Saydie so convincingly, not only does she perform a seamless rendition of Hava Nagila in my aunt’s exact voice but then Poopsie heads to a nearby restaurant and complains about the service. 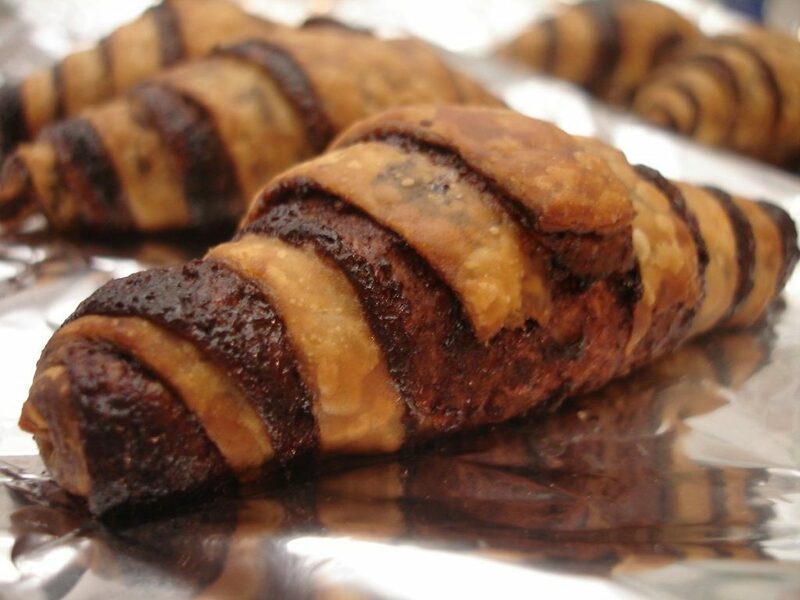 A good chocolate rugelach holds little-known romantic properties. The highly touted dessert has even been known to keep marriages together. The Rumpleschmitts of Blupenville, Idaho included the following vow in their marriage nuptials: “I, Fred, take you, Bertrina, to be my lawfully wedded wife, to share every single dessert together with you and to hold you even when you are bloated, from this day forward, for better, for worse, for richer, for poorer, in sickness and in health, until death do us part.” But in March 1911 when Bertrina secretly watched as her husband ordered a dozen chocolate rugelach’s at a deli and then ate them all, the betrayal was too painful to take. For months she pretended she hadn’t witnessed this act of extreme dessert treachery. But her resentment built. Fred was rendered speechless, partly due to the fact that he had taken such a big bite of pie that a pecan was stuck smack dab in between his two front incisors. Bertrina continued to rail against him for being the loathsome dessert adulterer that he was. And, as an act of contrition, she demanded he provide her with a weekly staple of assorted rugelach. Happily, the Rumpleschmitts marriage became evermore solid as did their bottoms. 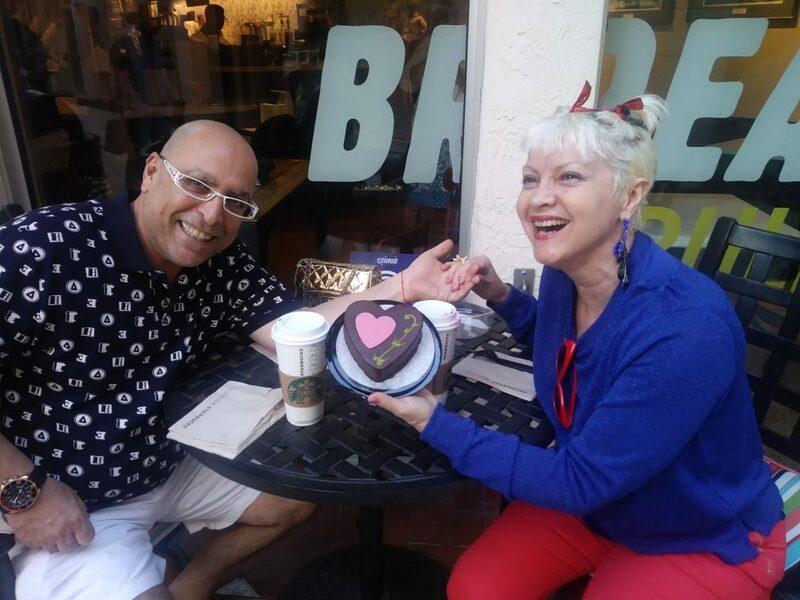 They also opened a hybrid ‘wedding chapel and bakery’ which promotes their baked goods vow. This versatile dessert has given us much to chew on, but shockingly rugelach has a bad name in certain parts of the world. Mrs. Pearl Buttonschnapps-stein grew up in a remote village in Alaska. The population relied on an aircraft to carry goods from the big city. For the first ten years of her life it was inoperable. Her family was forced to subsist on raisin rugelach which they had bought vats of before relocating from Florida, as it was on sale at Costo. Driven insane by raisins, her mother molded the rugelach into the shape of a chicken and occasionally if they put on a Frank Sinatra record, spaghetti and meatballs. Today, the trauma of her childhood has not dissipated. If Mrs. Buttonschnapps gets a whiff of rugelach she has a flashback and hallucinates that the person nearest to her is a chicken and automatically pours bar-b-que sauce on them (she always carries a flask in her purse) then attempts to bite them. Rugelach-Free Rugelach is available for those who prefer a highball, but that’s another story.